We are very proud to introduce this magnificent Bowerbird Black Large Trinket Box. 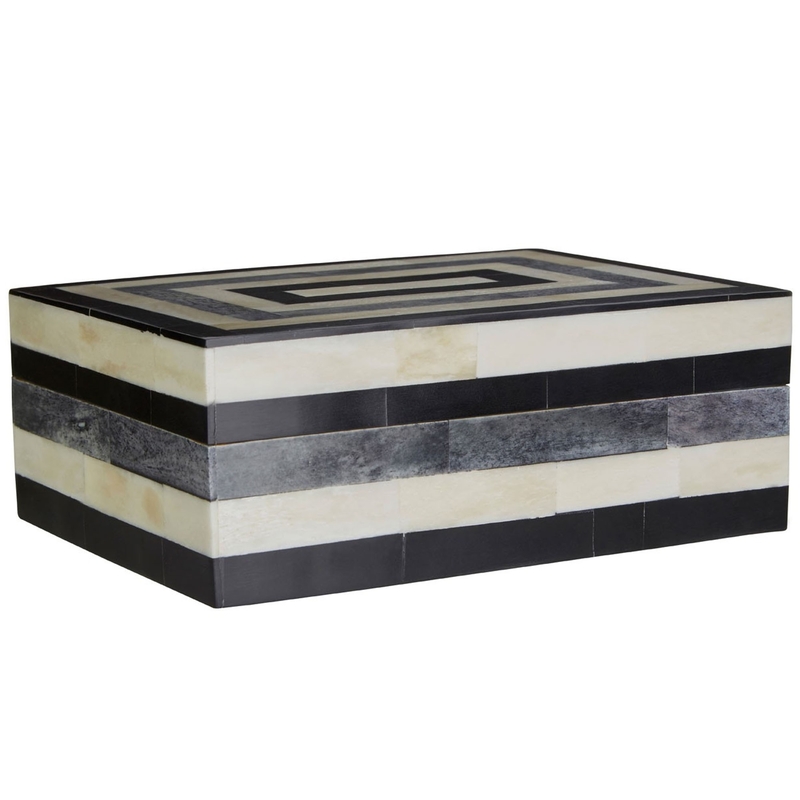 This trinket box features a lovely striped pattern that combines shades of white, grey and black to create a very modern and eye-catching pattern. This trinket box is created from Buffalo Bone and MDF, these materials fit perfectly with the stylish pattern and colour.